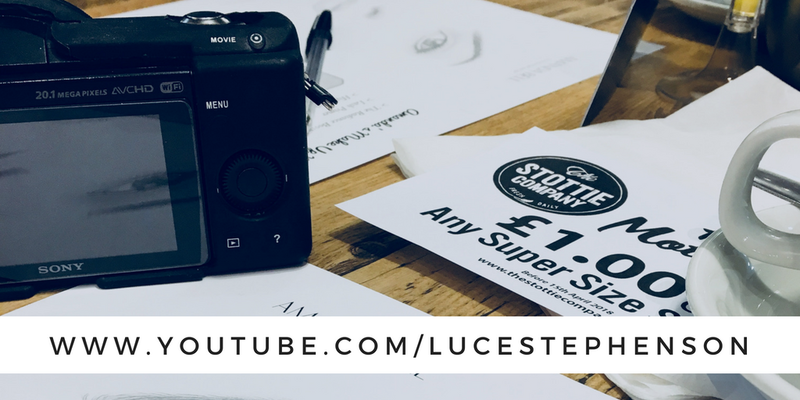 For my main videos I use the Canon EOS 70D (I've recently updated this, I filmed the majority of my videos with the Canon EOS 650D previously), for my vlogs I use the Sony A5000! What editing system do you use? iMovie, although I have recently got Final Cut Pro so I'm playing around with that at the moment! Do you use artificial or natural lighting? I use a mixture, I use a ring light placed in front of me and have a window to the right which lets a lot of light in. What's the top item on your filming wish list? It WAS the Canon 70D but now I'm a proud Mammy & own that so my next 'I NEED THIS' item is a new camera lens (18-35mm f1.8 Sigma lens) & possibly more lighting! What is your favourite day of the week to film? Any day Monday-Friday as long as no one else is in the house, it's so much nicer when everyone is out. Do you plan your videos? If so, how? I plan what videos to film but that's about it, sometimes I can get an idea in my head on the day I'm bulk filming and I just go with the flow. I don't really in depth plan my videos, I can just know 'right I'm gonna do a first impressions video using these products' but I won't have a clue on what look I'm going to make. How long does it take you to film the average video? On average I'd say roughly 40-60mins, it completely depends on what type of video I'm filming, make up tutorials always take the longest but I'm currently working on how to reduce this and reduce how long my videos are when they go on my channel too! How many hours do you spend editing the average video? I'd say roughly 1-2 hours, depends how long the footage is and how fancy I make it. I think now that I have final cut pro, this will probably increase as I'll want to try and do new fancy shizniz. Favourite type of video to film? Definitely hauls! They will always have a warm place in my heart <3. Do people at your school/work know about your channel? Yes! I'm very proud of my channel and being a YouTuber / Blogger so I tell everyone and anyone haha! What is your process of thinking of a video idea? Sometimes I get inspiration from watching other videos, sometimes it can be based on a product I've bought, or a video that I've tried to find on YouTube myself and haven't saw anyone else do it so I decide to help others who are also looking. Oh my god yes. This is SO awkward, I'm still not use to it. I find that I've got more confident as the years have gone by but I'm still not 100% about it. The only person I feel 100% confident filming in front of, is Millie, and even then I mess things up and say things wrong because my anxiety just likes to play with me like that. Do you have a YouTube friend that you like to plan videos with? I use to! But unfortunately that friendship came to a end. I have a blogger friend who I talk to ALL about YouTube though, she's a absolute babe and is so supportive and encouraging, it's Polished Couture (Beth) if anyone is wondering! I do talk about my videos A LOT with Millie (my sister), she has her own YouTube channel that I run and regulate for her, please go subscribe to her it absolutely makes her day! What is your subscriber goal by the end of the year? My subscriber goal is 7,000 for the end of this year!! Please help me reach my goal by giving me a cheeky subscribe! HQ Hair Beauty Haul - 20% OFF CODE!